...and how to fight back when assessors incorrectly seek to deny your relative the funding they may be entitled to in law. Coping with everything when a relative needs care can feel bewildering. Add to that having to figure out who pays for that care and how to access funding, and it's not surprising that stress levels rise even further. This book shows you how to prepare for an NHS Continuing Healthcare assessment, how to argue your case for funding, what to say and do in assessment meetings - and, crucially, what NOT to say and do. It's loaded with great tips about what happens IN PRACTICE - not just in theory - and how to fight back against NHS and local authority tactics that may wrongly prevent your relative accessing NHS funding to cover care fees. . . . . . . . . . "This guide is a model of clarity compared to the ‘official’ publications, and a great blueprint to help in a potential battle for funding." Michael Duncan . . . . . . . . . Already paying care fees but not assessed for NHS funding? Been told to pay for care because you have savings or a house? Waiting for a Continuing Healthcare assessment - but not sure what to do or how to get through it? NHS Continuing Healthcare funding covers 100% of care fees for people who need full time care primarily for health reasons. However, many families are not told about this, and there have been thousands of complaints about the way the NHS illegally denies access to this funding. You can find yourself seriously misled about how care fees work, which is frustrating and distressing. 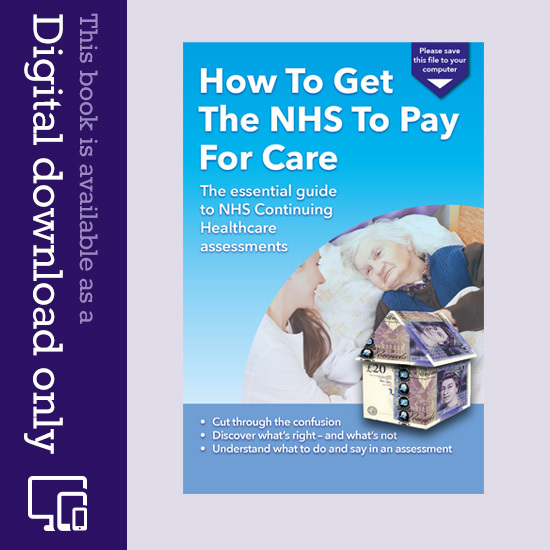 This 188-page easy-to-read guide, How To Get The NHS To Pay For Care, will help you. CTBD have coal-face experience plus many years’ research. CTBD has helped hundreds of families successfully through the NHS Continuing Healthcare process. With this guide we give you tips, advice and insights about Continuing Healthcare at every stage. The guide covers the Continuing Healthcare system in England. It’s easy to follow and covers not only the nuts and bolts of NHS funding, but also how care funding works in practice and what you need to do – right now. It helps you prepare for assessments, feel more confident and argue your case. How to check if your relative has already been assessed for Continuing Healthcare? Simply scroll back up and click the green ‘Add to shopping bag’ button. EBOOK: This guide is available as a digital downloadable ebook only. (No physical book will be posted.) After you’ve purchased the book, you’ll receive an email with the download link you need. (Please check your spam/junk email folder if you can’t find this.) Once you’ve downloaded the book, it will be in the ‘Downloads’ folder on your computer. You can then save it to the most convenient place on your computer. If you don’t receive the download link within an hour, please check your spam/junk email folders. In November 2015, we were faced with the prospect of my mother-in-law being forced to move from the residential home where she had lived for three years. She had dementia, and we were told that staff could no longer cope with her challenging behaviour and she would need to move to a nursing home. She had been self funding, having had to sell her modest terraced house to fund her care. By chance, we found Care to be Different on the internet, and bought your e book about funding care. It was invaluable in helping us secure NHS continuing care funding for her. It took months of hard work, but without the guidance in the book, we would not have stood a chance of being successful. Mum- in- law has recently died, and it is only now we feel able to talk about it. We have always been scared of the funding being withdrawn, and did not want to tempt fate by drawing attention to her “good fortune”. In fact, it was what she was properly entitled to, but so many people are denied this. The information and advice provided by Care to be Different website and the ebook have given me the confidence to challenge the assessors at every stage. I’ve heard so many people say ‘ my mother/father was assessed but they said they weren’t eligible’. Once you’ve read the book you know the truth and it gives you the confidence to fight on. Not there yet but feel fully prepared. Such a small amount to invest but a huge gain when the correct decision us reached and the correct funding is put into place. This book is so helpful. When I asked the assessors ‘What about NHS Continuing Healthcare for my mother-in-law?’ they said they would Fast Track her. They went very quiet and you could see they realised I knew about all this. My mother-in-law got the funding for the last 9 months of her life. The book will also be very useful for my daughter. Keep up the good work. I discovered that the whole area of Continuing Healthcare funding is such a complex area and there is so little advocacy and misinformation surrounding it. 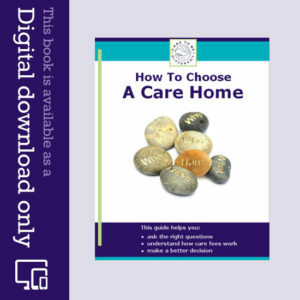 Consequently, this guide is an essential tool to anyone looking to support a relative moving into the care system by providing an easy to understand roadmap. I unreservedly recommend it to anyone who needs to support relatives or friends and who needs to quickly gain a good understanding of what is possible regarding health funding. This guide was absolutely invaluable to me in seeking NHS Continuing Care funding for my dad 18 months ago. We were successful, although sadly he died shortly after, but the award was backdated which help in paying his care fees. I am now re-reading the guide as I’m seeking funding for my mum whose care needs have recently increased considerably following a stroke 43 years ago. Thanks again Angela. I found this guide utterly invaluable in interacting with the CHC. It is absolutely astonishing unfamiliar the healthcare professionals are with the framework/legalities of Continuing Healthcare – including GPs and nursing home staff. Knowing the accurate legalities gave me the confidence to navigate brickwall after brickwall. Highly, highly recommended. My mother has now got through the Checklist with 5 Bs, so we are onto the next stage. It is true what you say in your guide about letting the assessors know you are informed – I told them I had done my research and been on the NHS website, and I even produced the same Checklist as the assessor had. It really was quite straightforward. I had prepared myself for continually pointing out it was ‘health’ needs and not ‘social’ needs, but I didn’t need to. I’ll keep you informed, and once again many thanks for all your support and information – couldn’t have done it without that. Thank you for your continued support in my mission to see my friend receive the Continuing Care assessment I have been pursuing for many months. At last I can report some good news. Following a decision making meeting this morning, I am informed that from today the NHS will now fund her care. Hopefully our case goes to show that it pays to persevere. My mission to get a Continuing Care assessment has taken a great deal of complaining, letter writing and research on the internet. For me it has been a real eye opener and engaged me in a time consuming yet learning experience. For my friend, it means she is at last being treated with the dignity and respect she deserves. Thank you for your support, without which I doubt if I would have had the confidence to get this far. I have been pleased to purchase online your most helpful guide ‘How To Get The NHS To Pay For Care’. My mother has been in a nursing home since February 2010, but has never been assessed for NHS Continuing Healthcare. She is ‘self-funded’ and over the last 25 months more than £100,000 has been paid in care fees. I have not known which way to turn for help, and the only information I had was that she would have to pay until her capital reduced. I have sought advice from various agencies, but none has given any hope of help with funding. The situation is distressing enough without having to deal with the anger and frustration that all her capital is going. Anyway, the point of this message is just to say thank you! At last I feel that someone understands and has given practical, straightforward advice. I have studied closely what you have written, and I feel my mother is indeed eligible for funding. It it would be wonderful for me to be able to enjoy the little time there is left with her, released from the worry that money will run out. I have a meeting with the care home manager next week. Thank you for offering real hope at this stage. Jeremy has now successfully won Continuing Care funding. Once again, I have to say that your information has proved most helpful all along the line. We had so little time to put together our appeal for NHS funding, but the information you sent us meant we arrived at the meeting well-prepared and ready to put our case. Thank you so much. I know we couldn’t have won without your help. 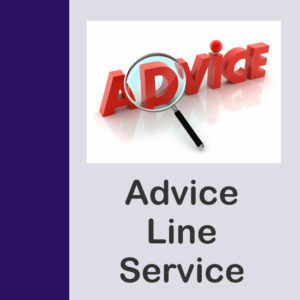 The books have proved to be invaluable – and your advice most helpful. I used it as a basis for further discussion with social services, and it resulted in a positive response. This book is going to be a useful tool, and I feel empowered reading it. What you’ve done is so helpful. I was feeling ‘over my head’ but now I’m going to go for it. We have heard today that my mother-in-law is to receive NHS Continuing Care funding. We could not have done it without your book and website. Thank you so much.